Color in and decorate these two fun Wiggle Town scenes with over 100 stickers and 50 puffy stickers! 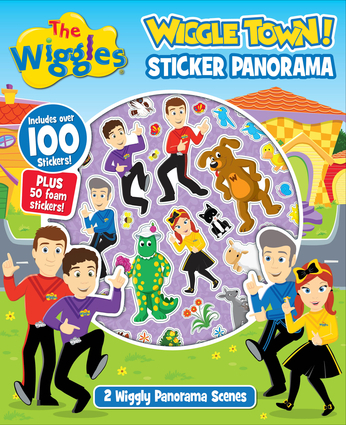 Join all your favorite wiggly friends in these two fun Wiggle Town panoramas! Use your favorite pencils and over 150 stickers to bring the scenes to life! This book folds out to create two Wiggle Town scenes (one on either side).